President, Michael, attended the 99th North Lincolnshire Music and Drama Festival Concert on Saturday last, when Rotary’s Joe Ford Memorial Bursary Grants were awarded. One of the Bursary Grants was awarded to Jasmine Taylor who won the Orchestral Woodwind Solo Secondary Class. Jasmine played Allegro, the 1st Movement from Bach Sonata in G minor and 'Smoke Gets in Your Eyes', on her flute. The other Bursary Award went to Callum Law, who played the tuba. Unfortunately, Callum was not present at the Concert. 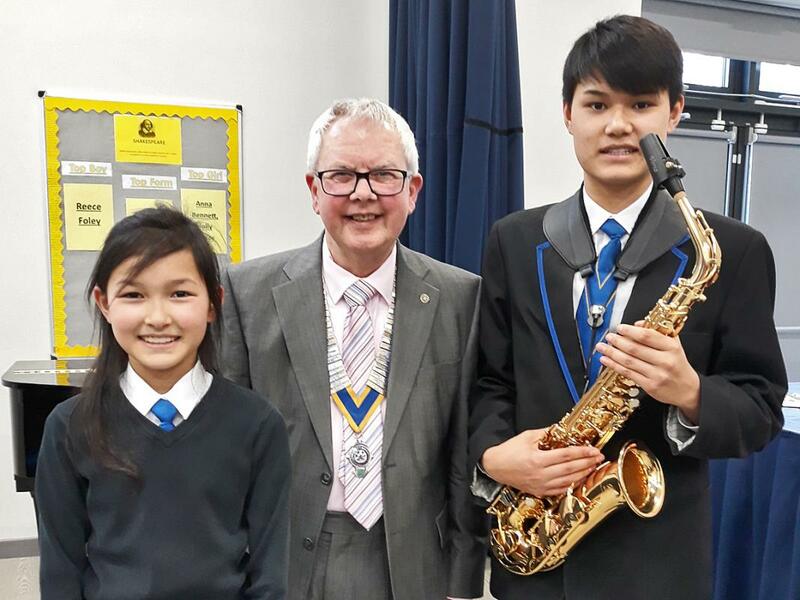 James Taylor who played at the Rotary District 1040 Final and the Rotary Area Final of the Young Musicians Competition, won the Two Skills Class, and played 'East Coast Mainline', the 3rd movement of the James Rae Sonatina for Alto Saxophone and Piano. James was awarded the Enid Brocklesby Memorial Award for Music. James and Jasmine won the Piano Duet Class, and played 'On Your Marks', by Mick Cornick. It was a wonderful concert, and so good to see such talented young people enjoying their music and drama.